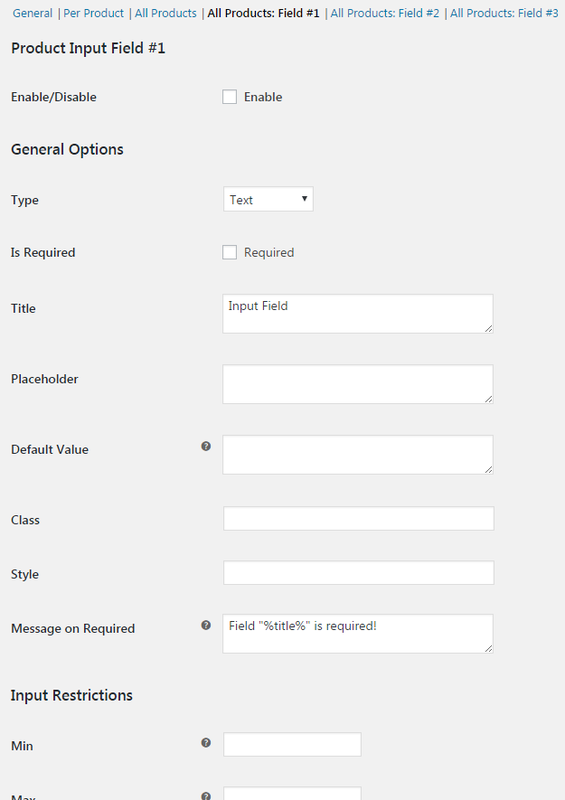 Add custom frontend input fields to WooCommerce products. This plugin is a premium version of free "Product Input Fields for WooCommerce" plugin. 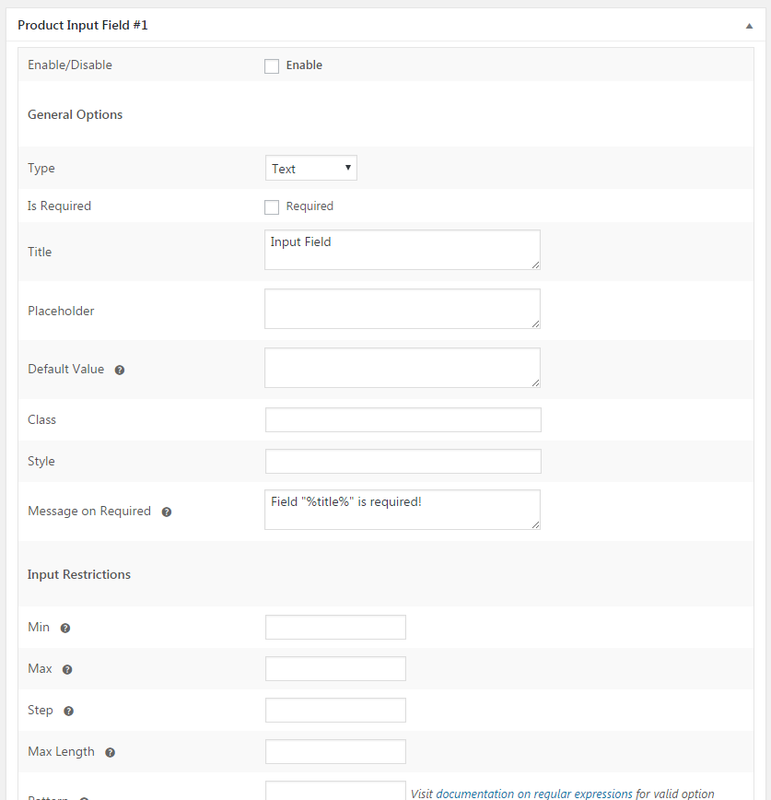 Product Input Fields for WooCommerce Pro plugin lets you add custom input fields to WooCommerce product’s frontend for customer to fill before adding product to cart. Plugin settings are located in “WooCommerce > Settings > Product Input Fields”. Defines the fields position on frontend. If set to “Do not display”, you can use [alg_display_product_input_fields] shortcode, or PHP alg_display_product_input_fields() function. Possible values: Before add to cart button; After add to cart button; Do not display. Use this to move the fields inside the “Position”. Ignored if “Position” is set to “Do not display”. This is added before the fields. This is added after the fields. Defines how required fields are marked on frontend. Affects Thank You page, Emails etc. Refills fields with previous input values. Total number of global (i.e. for all products) fields. 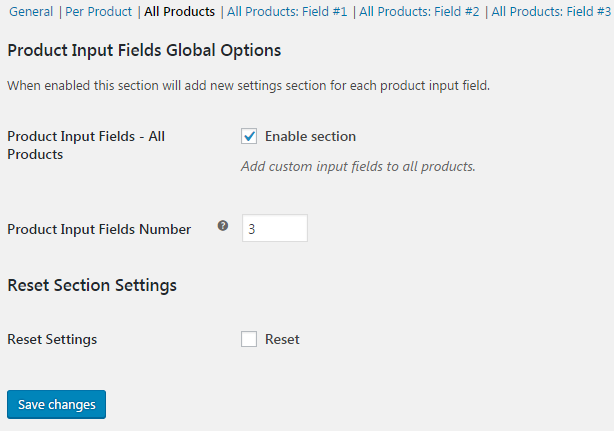 When enabled this section will add new settings section for each product input field. Add custom input fields to all products. After you save this number, new settings sections for each product input field will appear. Global (i.e. for all products) field options. Field’s type. Possible values: Text; Textarea; Number; Checkbox; Color; File; Datepicker; Weekpicker; Timepicker; Select; Radio; Password; Country; Email; Phone; Search; URL; Range; Multi Checkbox. Check if the field is required. Default value. E.g. for Color type enter color code; for Checkbox type enter yes or no. Leave blank to disable. 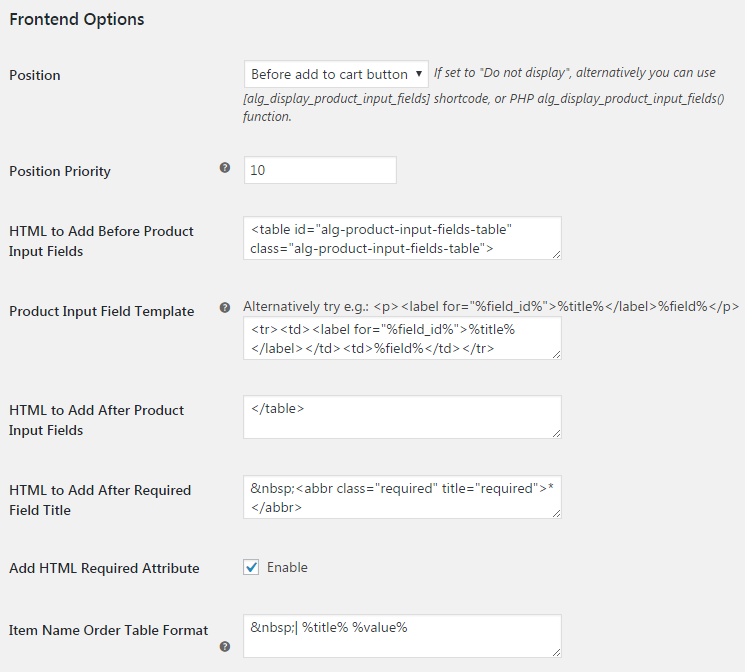 Used if “Add HTML Required Attribute” option in plugin’s “General > Frontend Options” settings is disabled, or product input fields are displayed outside the add to cart button form. Converts characters to uppercase version, when possible. Minimum value for an input field. E.g. for Number/Range type. Leave blank to disable. Maximum value for an input field. E.g. for Number/Range type. Leave blank to disable. Legal number intervals for an input field. E.g. for Number/Range type. Leave blank to disable. Maximum number of character for an input field. E.g. for Text type. Leave blank to disable. Regular expression to check the input value against. E.g. for Text type. Leave blank to disable. Visit documentation on regular expressions for valid option formats. Fill this section only if Checkbox type is selected. Text to be shown if checkbox is checked. Text to be shown if checkbox is not checked. Fill this section only if File type is selected. E.g. : “.jpg,.jpeg,.png”. Leave blank to accept all files. 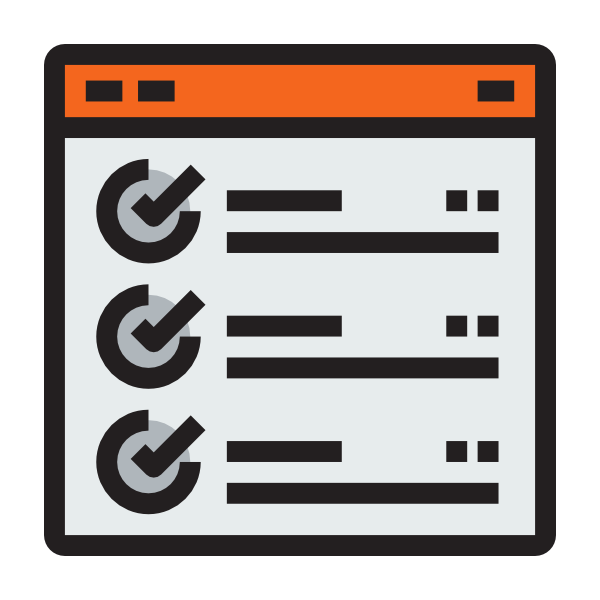 Visit documentation on input accept attribute for valid option formats. Message to be displayed if file type is wrong. Set to zero to accept all files. In bytes. Message to be displayed if file is too big. Fill this section only if Datepicker/Weekpicker type is selected. Leave blank to use your current WordPress format. Visit documentation on date and time formatting for valid date formats. Remember to set “Min Date” and “Max Date” options accordingly. Visit Datepicker > yearRange documentation for valid year range formats. Possible values: Sunday; Monday; Tuesday; Wednesday; Thursday; Friday; Saturday. Fill this section only if Timepicker type is selected. Visit timepicker options page for valid time formats. Fill this section only if Select/Radio type is selected. This example is for “local input fields” (i.e. per product); for “global input fields” (i.e. all products) use _alg_wc_pif_global instead of _alg_wc_pif_local. If the type of the field is “file”, then it’s saved as an array, so, for example, to get the name of the file, you need to use $values['_value']['name'] (instead of $values['_value']). If you need to export the product input fields from orders to CSV or XML, we suggest using free Export WooCommerce plugin. This plugin is great if you can completely rewrite all of the jQuery strings that make it run. Otherwise it’s pretty much useless. Great idea, but abhorrent execution. I’d like to clarify my review, since I can’t edit it I’ll add an additional review. 123 thoughts on "Product Input Fields for WooCommerce"
We would like to translate our products with WPML and WooCommerce Multilingual. But the extra Product Input Fields are not displayed at the product pages of the other languages (or at translation management). What should we do? Can you please update our plugin to the most recent version? I just tested it here and it’s working just fine. If you can create a WordPress user for me ([email protected]) I can try to take a look at this issue, if it’s still happening. why do you not answere? The Upload Type have a BIG bug. No multiple file Upload inputs per product is working. I have used the plugin to add 19 fields to a product. I then duplicated the product expecting to see the 19 input fields duplicated as well – this was not the case. I only want additional input fields on one category of product so I have not set the input fields for All Products. How do I duplicate the 19 input fields when I duplicate a product? The issue is fixed by updating woocommerce to the latest version. How do I disable sundays in the datepicker? Any idea how to disable both Saturday and Sunday? I am facing issue in multi file upload field. I have had an order today where the customer has uploaded 4 different photos. When I click on them it automatically downloads but I am only getting 1 photo. So I download all for but it’s the same photo. Hope you understand. the datepicker doesnt save the input, keeps saying field is required. I just tried to create a datepicket field and it seems to be working just fine. I have the input fields set on my product, but when someone purchases and fills out the fields I do not see it anywhere in the confirmation email or on the order itself within WooCommerce. How do I see the information that the customer entered? If you can’t see it, maybe your customers didn’t fill the fields. Or maybe you are not using the most recent version of the plugin. If you create a WordPress user for me ([email protected]) I can try to take a look at this issue, if it’s still happening. Hi, I will try to help you using the email then. Can you please create a WordPress user for me using [email protected]? I see the custom field information in the order under “item,” but I need to be able to export it for order fulfillment in my export csv. How can I get that metadata to export? where can i do this? OR is this possible? After reading your message, I just included a new option called “Uppercase” on version 1.1.3. WHERE would I set this option as the client has already set validation in 100’s of products already now. in Safari it is allowing the user to bypass validation and add the item to the cart. this also means it isnt working on Apple products IE iPad and iPhones. The Uppercase feature is located on Input field General option section. There is a bulk option on the plugin where you can set default inputs that will be displayed on all products. It’s located on plugin’s settings > All products. ‘alg_wc_pif_field_html’ filter. I can help you with that, just let me know. Regarding Safari, unfortunately it doesn’t support the pattern attribute so well, but theoretically, since version 11 it should be working. Its ok i was able to us WP all import to update the affected product with the uppercase function. How do I grab the meta key for specific input field? You mean in the database? Hello. With any product that has one of your product fields, when the user hits Add to Cart, it redirects to the homepage. All other products go to the cart as they should. Is there a fix for this? If this issue is still happening, can you create a WordPress user for [email protected]? All working now thanks so much support is very good on this plugin! Hello, I am very close to purchasing the pro-version of your plugin, but first I would like to know if I can use the customized ‘Product Input Fields’ for product variations. What I mean by this is, can I use the different product input fields to conditionally alter the price of the product? There aren’t any options available on the plugin in order to do that yet, I’m sorry. But this is also a good idea. How do you think it would be better for you? An individual option for each field allowing to exclude some specific variations or the opposite? An option allowing to include the specific variations? I think it would be best to do it on an individual variation at a time. There aren’t any options available on the plugin in order to do that yet, I’m sorry. But that’s a good idea, we are going to think about how we can implement it. Probably it’s only related to your theme’s style. Can you create a WordPress user for me using the email [email protected]? I can take a look. I am having the same issue as mentioned in a comment above, my datepicker refuses to store values and keeps generating a required error. If I remove the required field no value is stored in the order or in the email. Not sure why this could be happening, thanks for the help. That shouldn’t be happening at all. Actually we would like you to buy it first if you don’t mind. Have you installed any new plugins or made any modifications recently? We have not, only updated plugins when needed. How do I find the meta keys so I can export to a csv? Do you have an example of this? I’ve tried several different ways and cannot get the info to export properly. Thank you! I have just purchased this Pro version but got this error when trying to activate it, please can you resolve the issue for me. Can you please make sure to turn off the free version before enabling the pro version? Can you please also make sure to set your php version to 5.6 at least? If none of these things works, let me know. I can access your dashboard, if you allow me, to find out what’s going on. Are you able to let me know if it is possible to set “if this, then that” requirements with the additional fields for example if a user selects from the number field more than the number 1 then more than 1 text field will then appear? Also, can this update the number of items in the cart? This works well on ‘Add to cart’ button, but when I use the field and add multiple items that have an item with a comment to the cart it does not pick up the comment. Any advice or solution for this issue? That’s the page that I am referring to. If you go in and see that I am using the plugin for the users to add in Additional Note. A user can add in the note when ‘Add to cart’ is used, but when a user checks multiple items, add a comment on the items, and then pressing ‘Add Selected to Cart’. The note will not add. Thank you for your attention! I’m afraid this plugin isn’t compatible with adding multiple items at the same time. What plugin are you using to do that? I have set multiple “File” fields on a single product. When I upload different files, only first file uploaded is there for all other uploaded files. It seems as if other files uploaded are overwritten by first file. The other uploaded filenames are showing, but when you click to download the file, it is the same file. Also, when I send the files to the admin email, only one file is attached. Can you fix this issue? the files are jpg images.Also, after uploading on product page, how can I show thumbnail image preview? I am attempting to have user upload more than one image file. There are 3 or more file upload fields set in a single product. I’ve realized the feature you want is already there. The thing is you tried the ‘Max’ option when you should be using the ‘Max Length’ option. That’s it. Ok, you were right. There was a problem with the maxlength attribute on the textarea input. I just fixed it on version 1.1.9. Can you please give it a try? Thanks for the kindly quick response, i mean to control and limit the text area, please. You were right. There was a problem with the maxlength attribute on the textarea input. I just fixed it on version 1.1.9. Can you please update your plugin and give it a try? Is it supported in woo rest api? how a customer can fill a field using rest api for example from an android app? How do I make the background white on the calendar when choosing a date. It is a transparent background now. Can you please try adding this piece of code on your Customizer > Additional CSS ? The extension is not working with Grouped products. We had built a test product months ago when we purchased the extension and is seemed like it worked. Now that the WooCommerce store is live and we built sellable items the data is not being passed to the cart or Order on grouped products. We have the latest version and all other extensions are current. Please advise how we can get this fixed? Do you remember what was the version you were using back then? I can try to test it here, but I’m not certain grouped products is compatible with this plugin. Anyway, how do you think it should work? If you fill an input on the main product page, all the linked products should be added to cart with the same input value? Hello there, i just downloaded your plugin to try it, i need users to upload, or write a code before they are able to buy the product so this is fine, problem is, the inputs dont show in the product, they are correctly set as required, but doesnt show anywhere in the product. I just bought this plugin and set up three fields on a single product. When users fill out the form and add the product to the cart, nothing was added to the order information, or the confirmation email(s). Does the pro version include any option to add a price to a field yet, as requested by another user above? Thanks. For my use case, basically I have a product that includes custom engraving for an additional cost. So on the front end there would be a radio button to add engraving, if selected, the field appears and additional cost is added. This might be too specific though, I’m not sure if other users have similar use cases. Anyway, it’s not too difficult to add this functionality using your plugin as a starting point. I’ll need multiple fields too so will be purchasing the pro version still. i have problems using the text input-field. I want to restrict the input to a minimum of two characters, but it does not work. Maximum input is no problem. Got a workaround for that? In your case I think you need a new option (Min Length), right? HI, is there a way to add a line break into a Title Field box? My titles are very long and I’d like break them into tow lines. Instead of the Text field, can you please try the textarea field? We have two options for textarea that may suit you well, “Smart Textarea” and “Textarea Auto Height”. the title for each question is in 2 languages which makes it very long, I’d like to be able to put line breaks into the title box to split them over 2 lines or tidy it up? I tried the but it didn’t work. Instead of adding your fields on a default table layout that can be a problem for long titles like yours, would you like adding them on a block layout and make them be displayed one above the other? My previous message got blocked. Can you reorder the fields? I have forgotten a field that should be in the middle of the form. But, dragging, lets say, #11 above #5 does not reorder them. I recently bought the Pro version and when I add a product to my cart it seems to work, but the input field doesn’t get reset (https://grandrapidsweb.com/wp-content/uploads/2018/11/Capture.png) so some customers are adding the product multiple times. Is there a way to clear the input field after a product is added so customers can keep shopping and don’t mistakenly hit the Add To Cart button multiple times? Can you please contact us using our form? And can you also please create a WordPress user for me using the email [email protected]? Can you make sure that your PHP version is 5.6 at least? This is on a closed test box – no inbound access to it. I think I will remove it from my system – found another plugin. I really don’t know why it’s happening for you. I’ve just tested it here and it seems to be working just fine. I am trying to display the product input fields on the Cart page only. Is there a way to make the product fields optional on the product page, and then required on the cart page? How can I display one of the product fields using PHP? I’m confused on what part of this cost I need to edit to display my field. I’m confused on what part of this code I need to edit to display my field. I added a custom field. It is showing product page, cart page, mini cart, checkout page and order success page. But not showing order email. Can you please suggest me? What can I do? I have a custom form with 19 fields on a product, when the order email comes in the form details are all over the place, how can I format the content of the email? It looks fine on the order details in woo commerce? I posted this question a few weeks ago, can you help please? It is now 6 weeks since I posted here about a problem with this plugin, can you give me another contact method if you don;t want to reply here? There is Item Name Order Table Format option in plugin’s “General” settings (i.e. in “WooCommerce > Settings > Product Input Fields > General”). This affects emails. You can try changing the default value from &nbsp;| %title% %value% to <p>%title% %value%</p> for example. and it works very well if I select the product from the product list and we do add to cart; it asks us for the additional field that in our case is the domain name. But we have another option that asks for a domain name, verifies the domain name existence or disponibility, and it does an add of the product to the cart but we could not pass the domain name to the woocomerce cart; in the same way that we entered it from the add manual option. I am having trouble integrating the Product Input Fields with the Stripe Plugin from WooCommerce… It works great when someone uses their Credit Card to pay for a purchase, but if they use Apple Pay or Chrome Pay, the fields fail. By fail, I mean, with Apple Pay, the fields are processed through to the order, but revert to their default value, and when using Chrome Pay, no fields are processed to the order. I reached out to Automattic and they felt it might be a plugin compatibility issue, and I wanted to find out if WPFactory might have a solution? Is there a fix or is the plugin not working and a refund is the only option? Hoping to use the plugin long-term if it works. Thanks! Could you please disable free plugin version before activating the Pro. If that doesn’t help – maybe I can login to your server’s admin and check what’s going on? My private email is [email protected]. how can I access the VALUE of the first input field (textarea) in the databse by meta_key to import orders from csv. Seeing _alg_wc_pif_default_value_local_1 but thats not the value..? 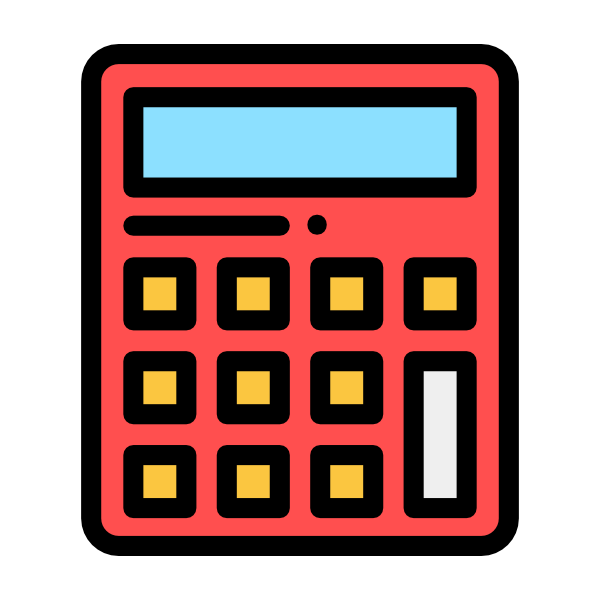 Please tell me if I have a plugin Product Input Fields for WooCommerce if you select Select/Radio Type Options, can the price of a product change, depending on the option chosen? That is, I have a product, and I want that when choosing a product with white letters the price was 10 euros, and if you choose with black letters 15 euros. We have created a ticket for you on our ticketing system. Can you please check on that ticket? How can i add the same text input field to multiple products at the same time? I have a lot of products and adding the field to each one by editing it would really be time consuming. When I use the shortcode to place my fields in the product description, the table appears at the top of the area (above the description text), even though I’m placing the shortcode below some text in that section. This is happening in the HTML that is generated, not just a CSS issue. How can I make your Table show up where I want it, below the text in the description? We have created a ticket for you on our ticketing system. Can you please check and revert to us on that? I would like to insert the title of the text area above and not to the side of the box. I have the pro version. Hi How do we enable the fields to repeat itself for when the user choose multiple of the same product before clicking add to card? The fields added by this plugin are not available to be exported by the WP All Export plugin. Is there any other option to extract the data that is captured against the orders using this plugin? * Fix - Update notification was not coming for the plugin when updated from version 1.3 to 1.3.1. This is fixed now. * Enhancement - The plugin is made compatible with the WPML plugin. The static strings and Dynamic strings can now be translated into different languages from the plugin. * Enhancement - A new page is added which will be shown when the plugin is installed and activated for the first time. This page allows users to activate the license key  for future updates. * Fix - Data was not getting deleted from the database when the plugin is uninstalled. This is fixed now. * This is minor update to the plugin. This update just has changes pointing to the new server for automatic updates. * Dev - WooCommerce v3.2 compatibility - Admin settings - select type options fixed. 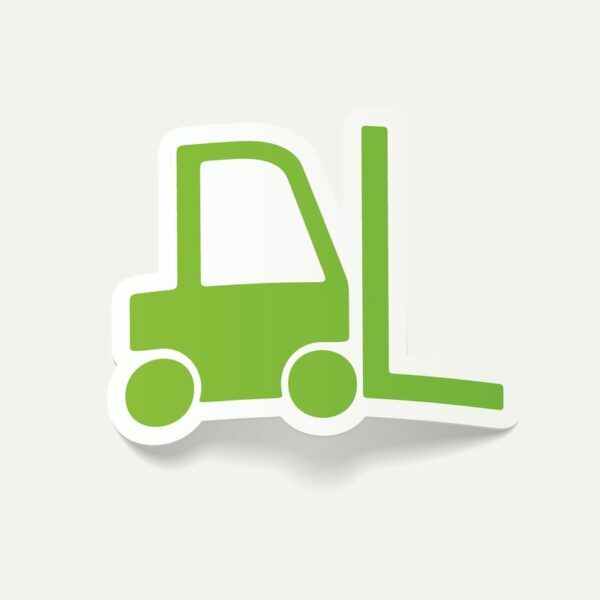 * Dev - WooCommerce v3.0 compatibility - "woocommerce_add_order_item_meta hook uses out of date data structures and function is deprecated..." notice fixed. * Fix - add_product_input_fields_to_order_item_meta() - Checking if product input fields values exist (fixes notice in log). * Dev - WooCommerce 3.x.x compatibility - output_custom_input_fields_in_admin_order() - Using meta_exists() and get_meta() functions to access order items meta data. * Dev - WooCommerce 3.x.x compatibility - alg_get_frontend_product_input_fields() - Product ID (using get_id() function instead of accessing id object property directly). 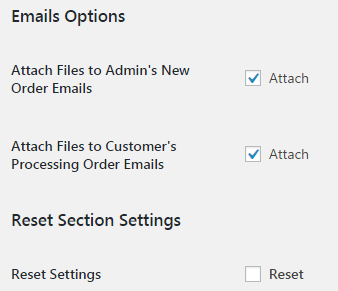 * Dev - Core - add_files_to_email_attachments() - Additional validation added. * Tweak - Plugin link updated from https://coder.fm to https://wpcodefactory.com. * Dev - readme.txt updated (screenshots added etc.). * Tweak - http replaced with https in links to coder.fm.